Lowest Price Online: $149.00 ? Box Dimensions (LxWxH) 5.6 x 5.4 x 2.2"
I use it with a PocketWizard PowerMC2 to trigger my Einsteins. Had it transmitting for the first time in under a minute. Easy to use. Still learning all the advanced features. I had been struggling with which radio slaves to buy as they all seem to have their pros and cons. However, after reading Kevin Kubota's book, Lighting Notebook (a great read by the way! 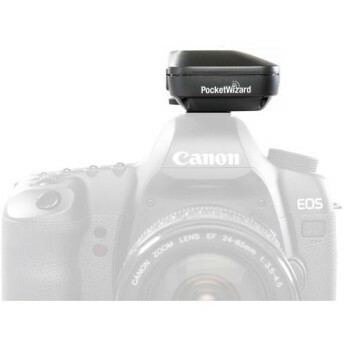 ), I decided to go with the PocketWizard TT1/TT5 system. I'm very pleased with my decision. I have been using my first MiniTT1 for two years and it has never failed. I photograph weddings year round and this product is a workhorse and very dependable. I have accidentally bumped into walls and other items, but it has performed without any issues. I like this pocket wizard, I have two of the regular sized ones on my flashes and this one I use on camera to trigger the others. So far it has been consistent. Best radio slave transmitter on the market. 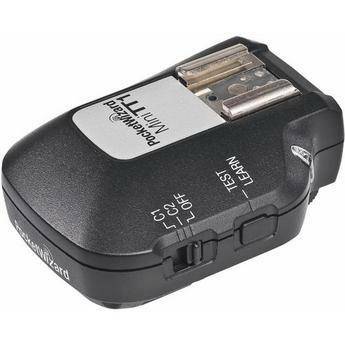 Have been using Pocket Wizard TTL system for several years and it has never failed. PERFECT!! I bought the MiniTT1 because of the ability to control the power of my Einstein (with addition of PowerMC2 Receiver Module. The Mini is advertised as having 32 channels, just like all of the other PW triggers. While that is technically a true statement, it is somewhat misleading. Does exactly what it says it will do. I have had no issues so far. I wanted to use this for weddings for OffCF with OnCF. It only works about half the time. If the connection to your hotshoe is not perfect it won't work, if it gets bumped, it won't work, if you raise your camera too quickly and the inertia moves the flash on the top of your camera, it won't work. I would highly recommend this product! I use the transmitter with a Flex TT5 and it works great! I use this for inside property photos to fire remote flash units to brighten shadows and other rooms. I use a Nikon D750 with an SB 800 on the camera and Nikon SB-26's in manual and sometimes an SB 600 which rarely works more that once.